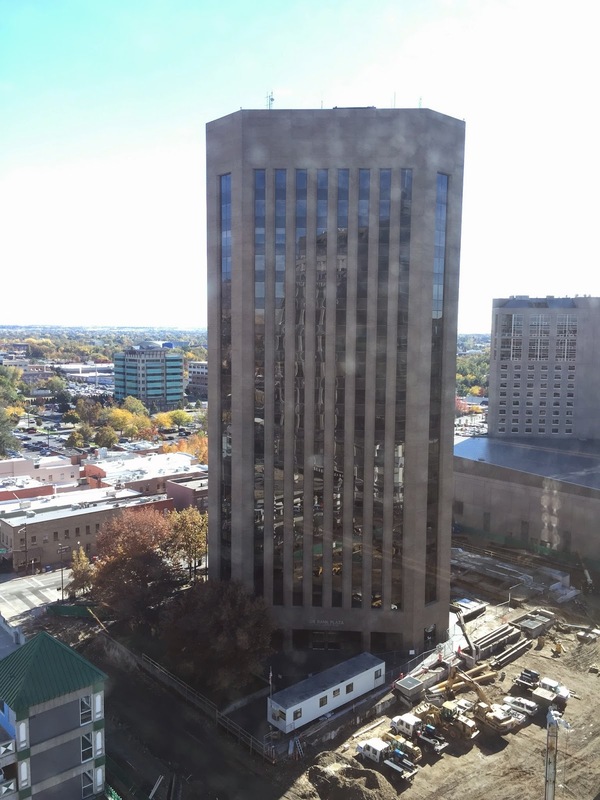 Until this past year the US Bank Plaza building was the tallest in Idaho. The Zions Bank building is a beautifully designed building in downtown Boise. I have had opportunities to run the US Bank Plaza building but held off knowing Zions was coming. Lucky for me BYU was playing Boise State in Football October 24 2014 and my friends were all going to be attending. After the 5 hour drive from Utah with my son, my friend Jeff and his son we pulled into the parking garage at Zions Bank building. Jeff had a work phone call to take in the car so I took my son and his friend Michael to scout out the building. Walking in on the 2nd floor it was easy to spot the stairwell and we entered the door and walked down to the first floor. Pic at the bottom and the top. 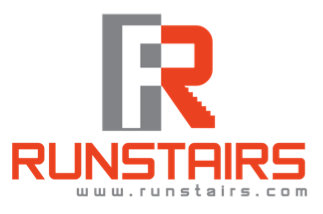 Both of the boys loved the idea of running the stairs with me and I love to have others to join in when possible. Before we began they were pretty excited, especially Michael since it was his first ever stair run. Lincoln ran with me in Wisconsin the previous year so he knows his way around the stairs. Michael bolted to a fast start, I followed behind and Lincoln was behind me. Michael is a fast little guy. By the time we reached the 10th floor he was burned out walking slowly, then decided to run as fast as he can for the final few floors. We reached the top and rested from our fun run. It took 3 minutes 38 seconds, we didn’t break any records but it was about as fast as those two little guys could go. I realized I don't usually check the top floor to see if the door is open. I really should do this more often since taking the elevator down is so much easier on my legs than going down stairs. When I wasn’t looking Michael opened the door and wondered into the top floor. I was worried for a minute then realized this will be a nice way down. The top floor is Holland and Hart Law offices. They have a large waiting room with windows looking out to the city of Boise. I really wanted to grab a picture for this post so I asked the front desk women if I could grab a quick picture and they very rudely said “due to client confidentiality you are not allowed to be in here.” Okay then. We walked out and the boys were confused as to why we couldn’t go in, I told them I was confused also. We went down to another law firm on the 13th floor, Parsons Behle Latimer and they were more than welcoming to allow us to enter a conference room and take pictures of the city. Funny how one little gesture or comment from a business can ruin a reputation so quickly. We exited the building and attended a game on the famed “Smurf Turf” to watch our BYU team get crushed by Boise St. Even with the loss it was a great experience with our friends and boys. Just like life is more than work and daily activities, football trips with friends are more than a win or loss. It is about creating meaningful experiences with others, especially the ones you love. This building represents the 15th state I have run the stairs of the tallest building in. This goal is so fun and I am really looking forward to the next 35 states.